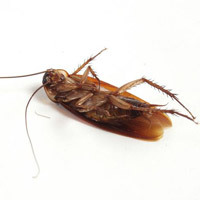 Infested areas are treated with a contact insecticide and/or application of a special cockroach bait which is ingested directly by the insect. Cockroach traps are also used very effectively to dramatically reduce numbers. Treatment duration is normally one or two visits, depending on the infestation. Dead insects will be evident for several weeks following treatment. Please note that many infestations will take longer to control and may, in some cases need a monthly treatment. Following treatment, refrain from washing or cleaning all treated areas for at least 6 weeks.